The Sims has always been about playing with other people’s lives – you replicate the day to day routine and boredom of your own life, and then spice it up by making simulated friendships and getting into simulated awkward situations. The new Sims gives you a lot more control, and it looks a whole lot more intuitive. Here is the latest trailer, showing off character creation in The Sims 4. For those who don’t watch videos, we see the creation of the Goth couple – they’ve been a staple in The Sims since the first iteration of the game, and this time around creating them is way easier. Unlike in Sims 3, which allowed for a ton of customization through a huge variety of option menus, the Sims 4 lets players grab hold of the attribute and push or pull as desired to change the look and feel. It’s particularly funny to watch the creation of Bella, the curvy lady – grab her lady parts and pull to make her even more voluptuous. Fans of the series can rejoice – character creation looks a whole lot more intuitive and easy to manipulate. Recreating your friends and family in Sim form appears to be a snap, and there are more options for a fuller and more accurate range of races, body types and personalities. It may even be enough to lure some new fans to the series – with character creation so quick, easy and entertaining, just imagine how much more intuitive gameplay will be as well. 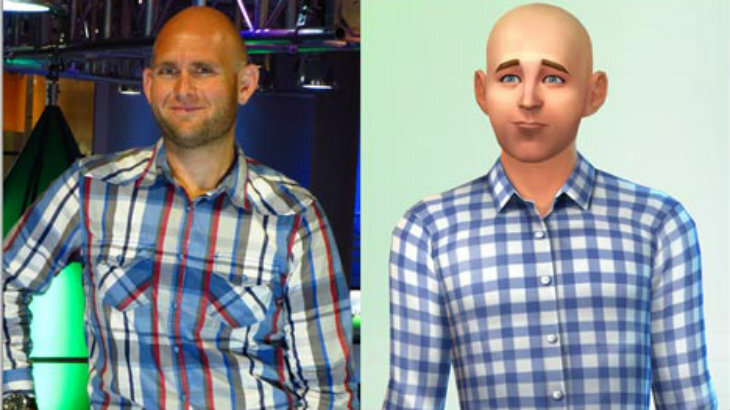 The Sims 4 looks like it might just be the best iteration the franchise has seen. Could it lure in some new players? Perhaps it will persuade some old fans of the series to give it another whirl. That is, of course, until we get the 57th expansion to the game. But for now, the game appears to be slick and shiny – maybe I will get pulled into playing it. Next article Have hackers stolen DayZ code?